During the next 44 days we’re going to offer some creative ideas to help you find the ideal gift for that very special ‘someone’ in your life. Your significant other, your kids, your grandkids, maybe a best friend or someone in the office. No matter, we’ll have a number of suggestions to help you discover the perfect gift. 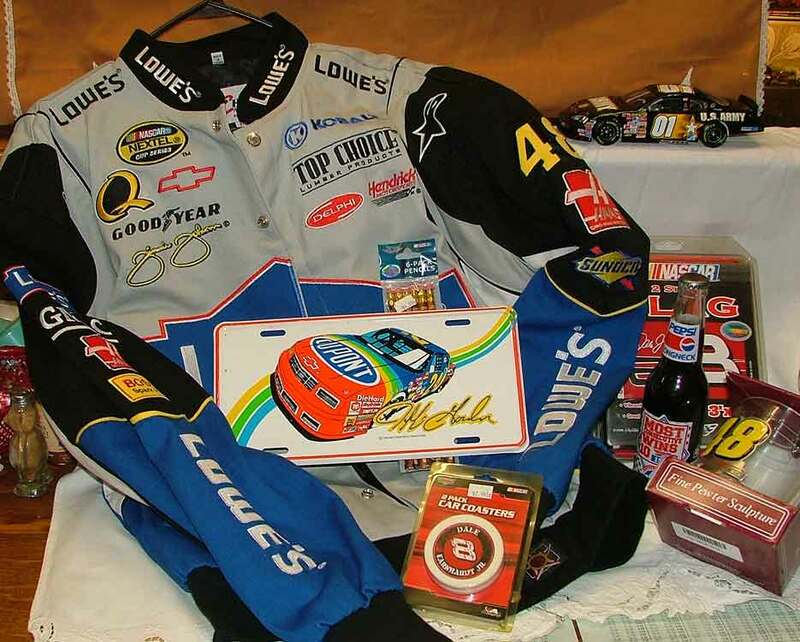 With the NASCAR race tonight (11/10/2017) at the Phoenix Speedway, and the Grand Finale on 11/17/2017 at the Homestead-Miami Speedway, it’s the perfect time to remind you of the NASCAR collectibles we have waiting for you to choose a few items for the NASCAR collector on your list – or maybe you just want to encourage someone to ‘start’ their collection. So enjoy the races and then pop in to Bahoukas to grab the NASCAR collectible and memorabilia that will complete your collection! They make perfect gifts as well. Stay-tuned. We have 43 more days to go. In the meantime, we’ll be watchin’ for ya!